Docker registry is a piece of application that lets you store and distribute the Docker images internally (within your organization). Docker even has a public registry, known as Docker Hub, free to store Docker images. But, the problem with Docker public registry is that the images you upload on it becomes public. This is not what you or your organization expect when you worked for long hours to build an image and that goes public. To overcome this hurdle, you can set up a Docker registry for your project privately so that only you or your organization can store the Docker images on it and distribute among your co-worker. 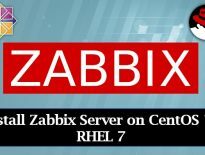 Here, in this tech guide, we will discuss on how to setup Docker Private Registry on CentOS 7/ Ubuntu 16.04 / Fedora 26/ 25.
build.itzgeek.local 192.168.12.20 Ubuntu 16.04 Acts as Docker engine node where the developers will build the Docker images either with dockerfile or docker compose, and then upload those images to above docker private registry server. deploy.itzgeek.local 192.168.12.30 Fedora 26/25 Acts as Docker engine node where we deploy containers downloaded (pull) from private registry server. Here, I’m using mixed (OS) environment to demonstrate. I recommend you to use only homogeneous environment which is easy for troubleshooting issues that arise. 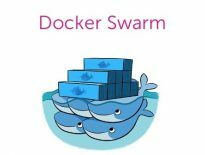 Install Docker engine on all of your nodes and make sure Docker service is up and running. Login to registry node and pull the registry image from Docker Hub. Choose whether you want to go with plain or secured Docker registry. By default, Docker node uses a secure connection over TLS to upload or download images to or from the private registry. You can use TLS certificates signed by CA or self-signed on Registry server. Here, I will use a self-signed certificate for securing Docker Registry. Let’s create a self-signed certificate using the following command. Replace “registry.itzgeek.local” with the FQDN of your registry server. Generated certificate “ca.crt” need to be placed on all of your build/deploy nodes for trusting this certificate. Start Docker registry container with certificate information. Now, you have a registry server container named “registry” running on “registry.itzgeek.local“. You need to run the following command on Docker Registry server (registry.itzgeek.local), depends on your operating system. Now the Docker Registry is ready for distributing Docker images. Let’s create a Docker image (for customized docker container) for uploading it into the private registry server. In three ways you can build/create a container images. Build and keep your docker image ready for upload by following any one of the methods listed above. I have built a docker image called “mycentos:httpdv1.0” on “build.itzgeek.local” and we will now upload it onto Private registry server. Now, rename the docker image something like registryserver:portnumber/image name:tag. If the image name does not match with given format then docker push or pull command will try to upload or download the image from the public registry, not from the private registry. To rename the docker image use docker tag command. Check again for the list of Docker images. Depends on the communication mode (Secure or Non-Secure) of Docker Registry, follow any one of the below methods. Edit/Create the file “daemon.json” in “/etc/docker/” directory. Add the following contents into it. Copy the certificate “ca.crt” from registry server “registry.itzgeek.local” to “/etc/docker/certs.d/registry.itzgeek.local:5000/ca.crt” on “build.itzgeek.local“. In both cases, you would need to restart the Docker engine service. Upload the docker image to private registry server using the following command. Login into your deploy Docker engine node, Ex. “deploy.itzgeek.local“. Copy the certificate “ca.crt” from registry server “registry.itzgeek.local” to “/etc/docker/certs.d/registry.itzgeek.local:5000/ca.crt” on “deploy.itzgeek.local“. Download the docker image to private registry server using the following command. Now the Docker image is ready for deployment.